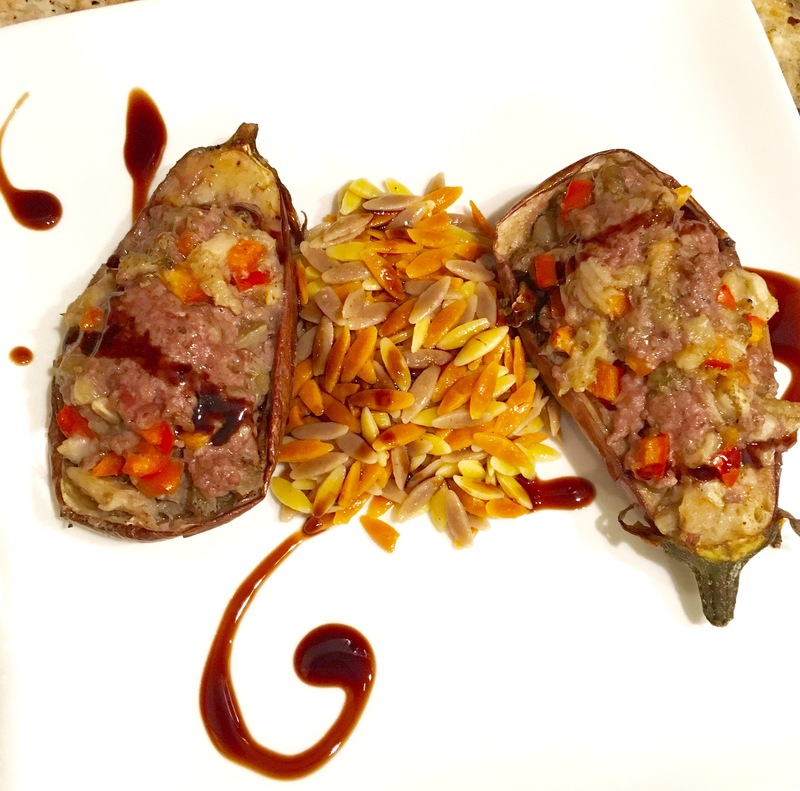 Stuffed Eggplant, Fancy Orzo, Wonderful Wine! – Eat, Drink, and Go! 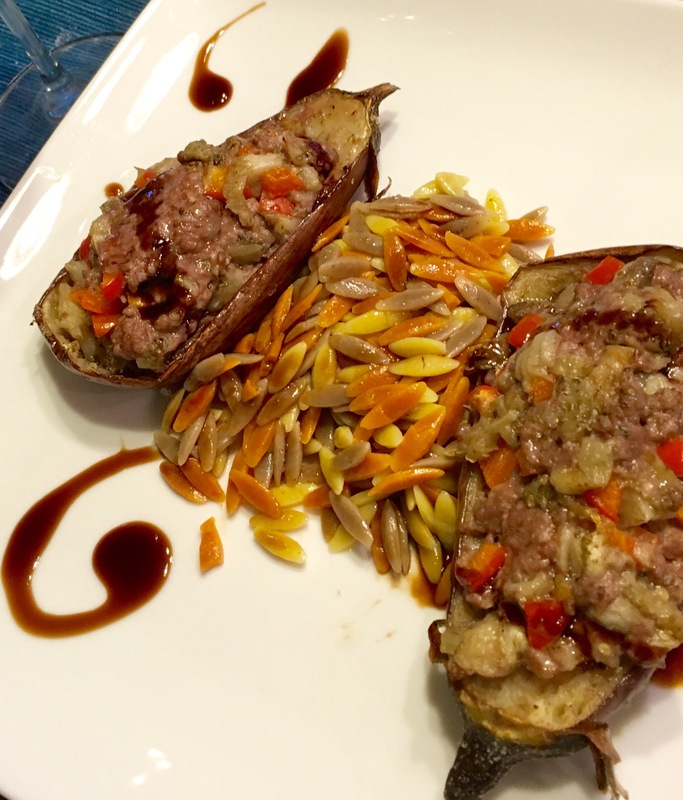 Eggplant is not something I liked until I tried it prepared in a way that changed my mind. And then I made my own take on it in my kitchen. I think such can be said of a lot of foods when you think you don’t like something but maybe you just haven’t tried it prepared in a way you liked. I had a neighborhood BBQ the other day and I made a roasted corn guacamole and had to last-minute sub in mayo for sour cream. I’m not a mayo fan, but it’s good in a pinch to make savory stuff creamy. Anyhoo, he could not believe it had avocado in it because he didn’t like guac or avocados. Must have been the mayo?? 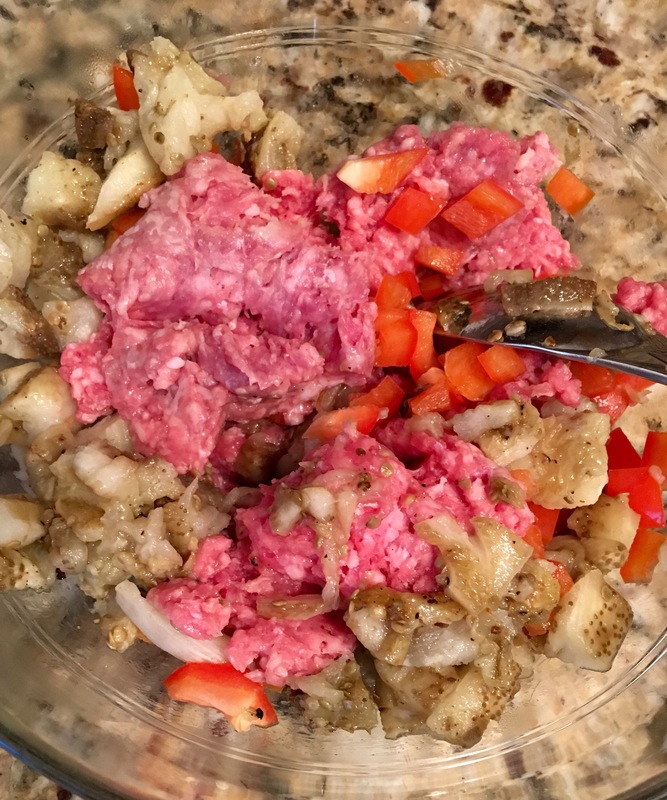 This is why I never want to give up on something – especially something healthy – unless I truly cannot fathom a way in which I could cook it and would like it. I like to believe I am open-minded in general and I know I am for sure open-minded when it comes to food. So that was a long digression before getting to tonight’s delicious dish, eh?? I thought about what I’d be making on my commute home today. I have a long commute. I do a lot of blogging while I’m actually on the train! 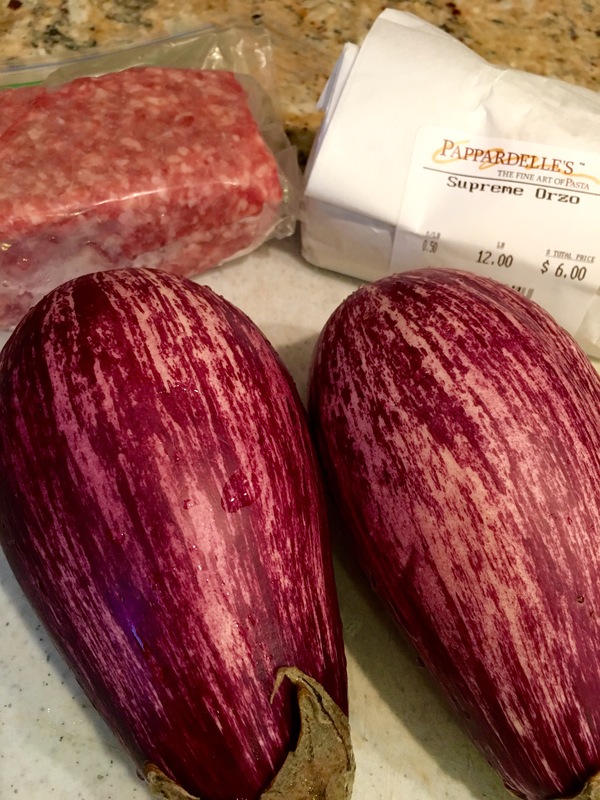 I knew I had baby graffiti eggplants, ground lamb, and fancy orzo. Yeah! This will work. 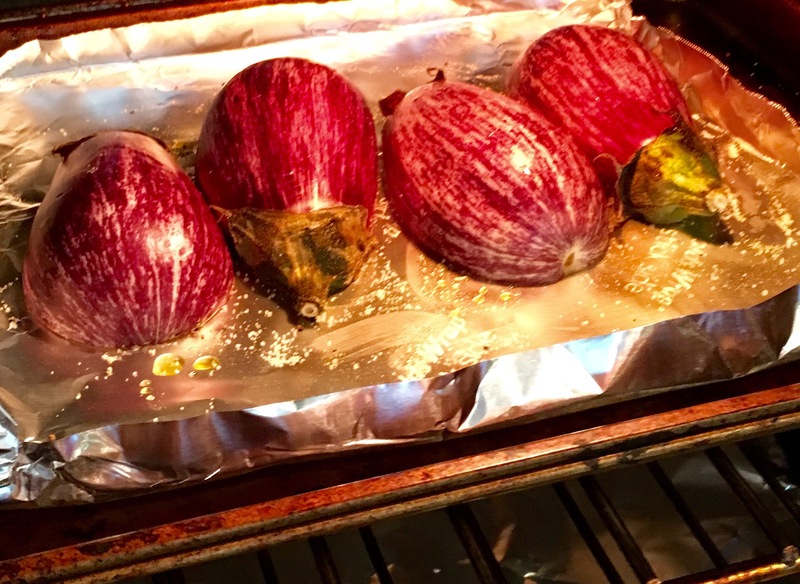 I roasted the eggplants cut side down with EVOO, pepper and rosemary salt (courtesy of Gustus Vitae salts). Roasted em up real nice and good. Meanwhile, I got the pasta that I was very excited to try out started. Pappardelle’s Supreme Orzo – roasted red pepper, porcini mushroom, and saffron infused. 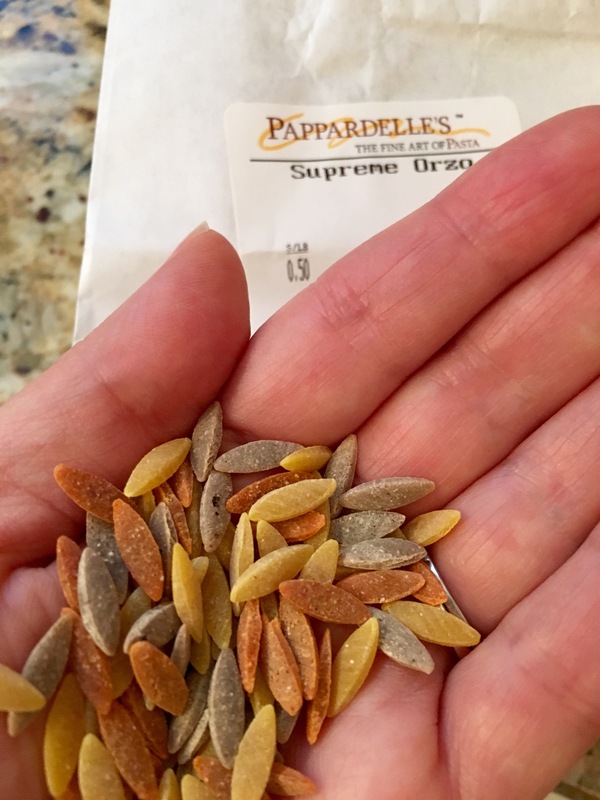 http://www.pappardellespasta.com/products/dried-pasta/orzo-pasta/supreme-orzo. Found it at the Pike Place Market in Seattle! I got some of their other varieties too, so stay tuned. Once the eggplant was nice and soft on the inside, I scraped out the innards and added them to the lamb and some chopped up red peppers. 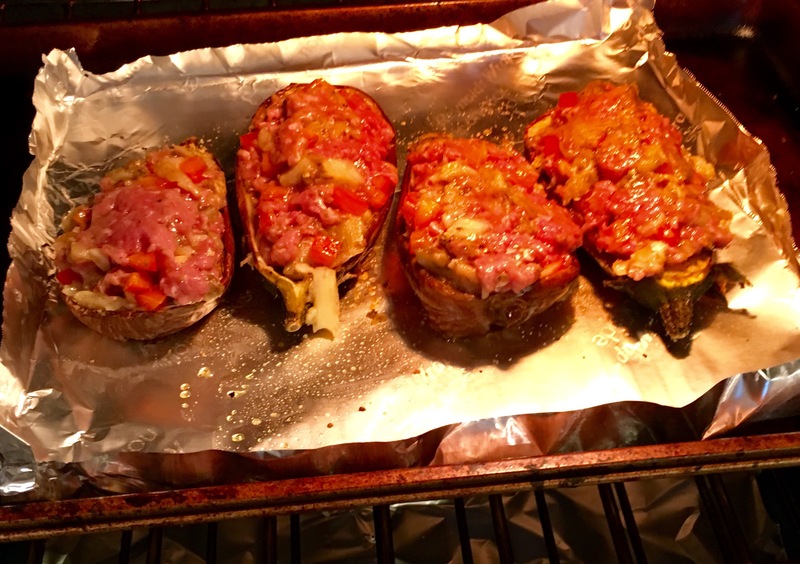 Use a spoon so as not to piece the cute little eggplant shells you’ll have ready for the stuffin. 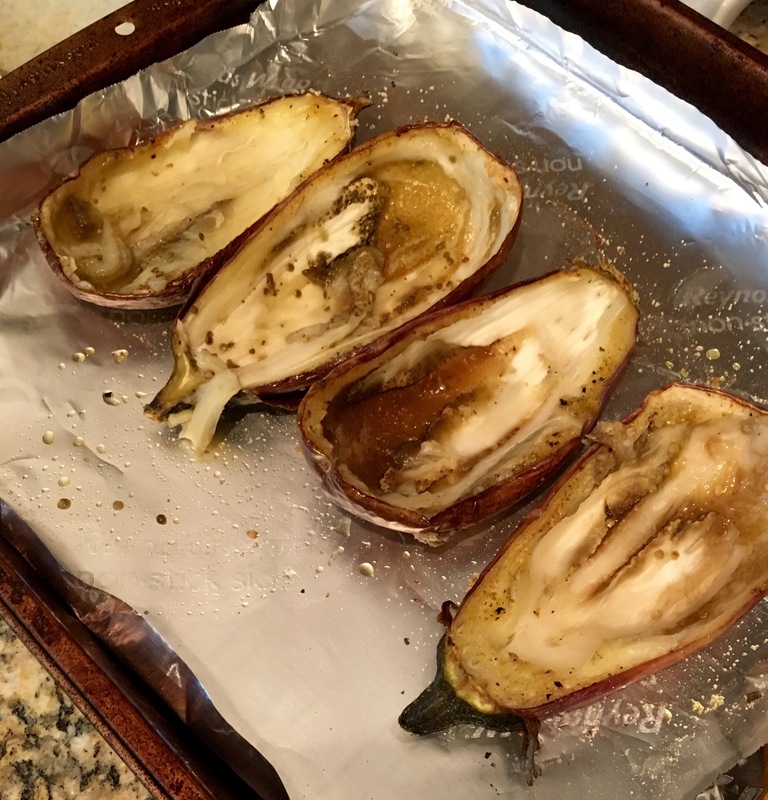 Mixed it up with a little honey and truffle oil, then stuffed it back into the eggplant shells and popped them back into the oven. 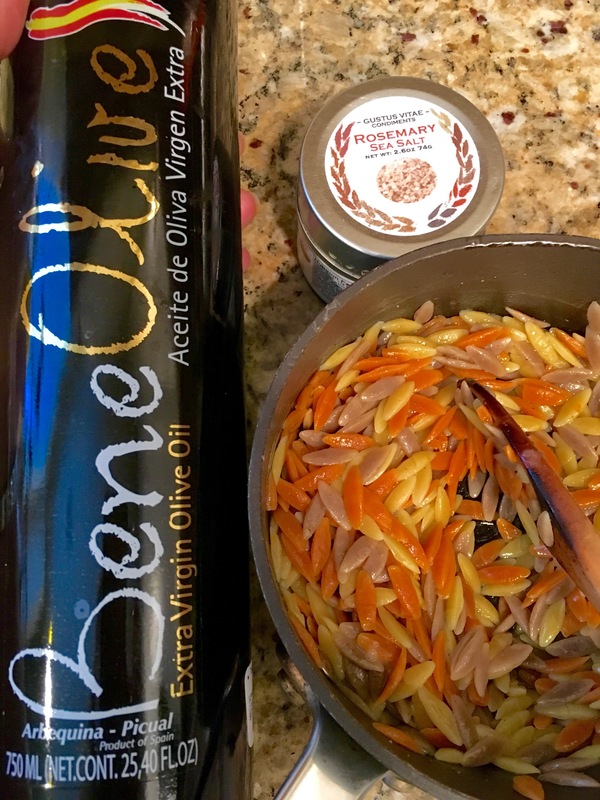 As the stuffed eggplant finished up getting fifty shades of yummy, I finished off the pasta with some EVOO and rosemary salt. And then selected a trusty bottle of red to pair therewith. 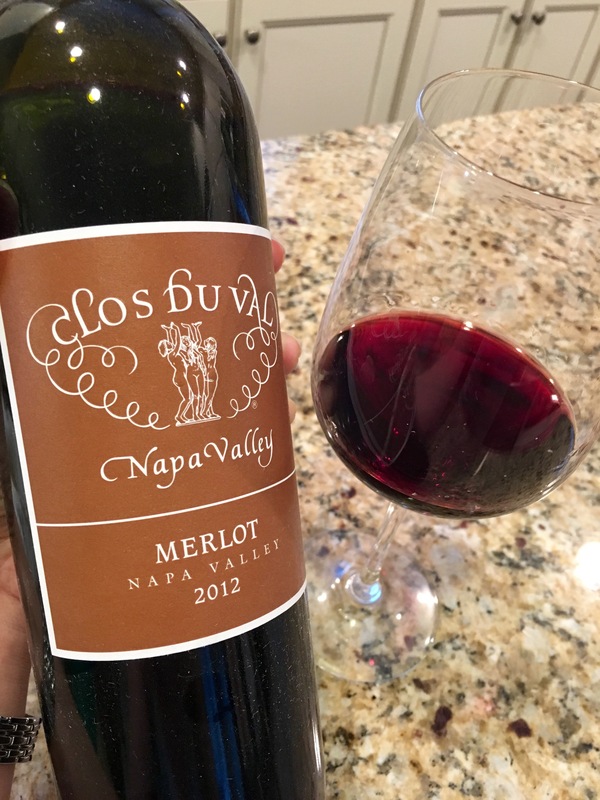 Clos du Val Merlot. It was a dusty bottle in my wine rack – all the way back to 2012!! That’s about as long as I can cellar my wines. I may have a couple of older bottles, maybe. Now I need to make a mental note to check on that. Everything came together beautifully. I plated and then drizzled with a little truffle balsamic glaze. A lovely Tuesday night dinner! Needed something good tonight to help deal with the fact that it’s only Tuesday!! I couldn’t decide which final plated picture I preferred, so here’s both above!! There are plenty of variations and substitutions you can make with this general idea for a dish in mind – be creative! That orzo is beautiful! What a lovely dish – very Mediterranean with the eggplant and lamb – the graffiti eggplants are so pretty too. Oopah!! I love how you showed the raw materials from start to finish and your final plates were so artistic – food art for sure.